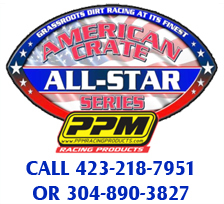 The latest edition of the Turn 2 Blog is presented by the American Crate All-Star Series. 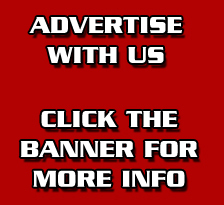 *Turn 2 Blog is a regular feature on InsideDirtRacing.com. 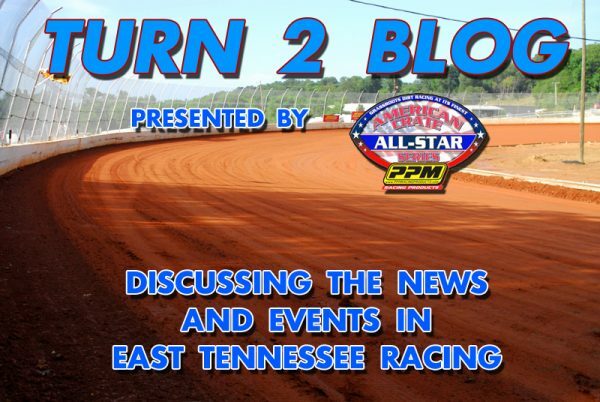 Here, site operators Michael Moats and Richard Allen take turns offering their thoughts on the dirt racing topics of the day from east Tennessee and beyond. Richard: In some ways it’s hard to believe but it’s that time again. 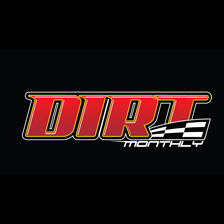 Dirt Late Model teams are in the process of leaving their shops and heading toward Georgia and Florida for this year’s version of SpeedWeeks. 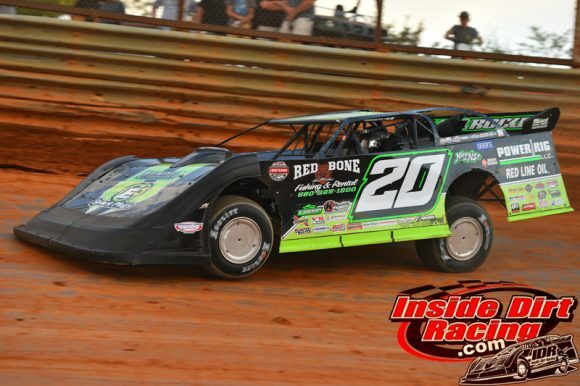 And as far as the Lucas Oil Late Model Dirt Series is concerned, there are some things that have changed from last season and some things that will remain the same. Beginning with those who have been on tour in the past, some noteworthy movement took place during the off-season. Former series champion Josh Richards parted ways with Best Performance Motorsports at the end of 2018 and has linked up with Clint Bowyer Racing for the coming campaign. 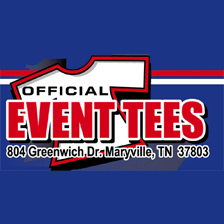 Engineer Kevin Rumley has left the Lance Landers-owned team he worked for and won a championship with last year to re-form his own K&L Rumley Enterprises with his father to run a “big events” type schedule. Former series champion Scott Bloomquist will ride into the season with a new engine package and Devin Moran has now assumed the reins of the Dunn Benson Motorsports ride. And more, some familiar faces are now gone, at least on a full-time basis. Darrell Lanigan parted ways with the Bowyer organization and is now back on his own with the World of Outlaws Late Model Series after three years on the Lucas Oil tour. 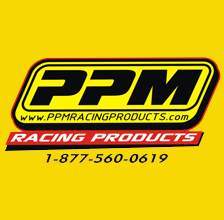 Bobby Pierce returned to his family run team and will run what looks to be a regional schedule in the Midwest as well as some of the sport’s biggest events after driving for Dunn Benson in 2018. 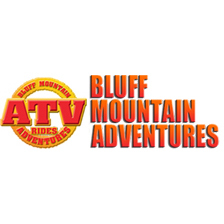 But at the same time, regulars Earl Pearson, Jr., Jimmy Owens, Tim McCreadie and Don O’Neal appeared to be in relatively unchanged situations aside from some additions or subtractions of sponsors. Of all the news that came out for the upcoming LOLMDS season, what will receive the bulk of your attention at the start of this new year on the clay? Will a different engine combination keep Scott Bloomquist up front in 2019? Michael: I have two things I’ll be watching closely in the early part of the season. The first is how will Josh Richards do with the Clint Bowyer Racing team. On paper, this team has major backing and all the things necessary to win races and championships. That has not been the case most seasons. The team has switched to Rocket which will be something familiar to Richards. Whether they can put all the pieces together is what I will be watching. The other thing is what kind of season will Jonathan Davenport have without Kevin Rumley. There’s no doubt Davenport is one of the best drivers in the country. But two of his best seasons were when Rumley was applying his rocket science knowledge to the team. Unfortunately for Davenport, if he struggles at all during this season, people will point to Rumley not being around as the reason why. Richard: Your point about Davenport and Rumley is a good one. In much the same way people will talk about Jimmie Johnson and Chad Knaus if one of them has more success than the other now that they have been separated. A lot of eyes will be on both of them, especially in the early part of the year. I’m also anxious to see what young Moran does with Dunn Benson. 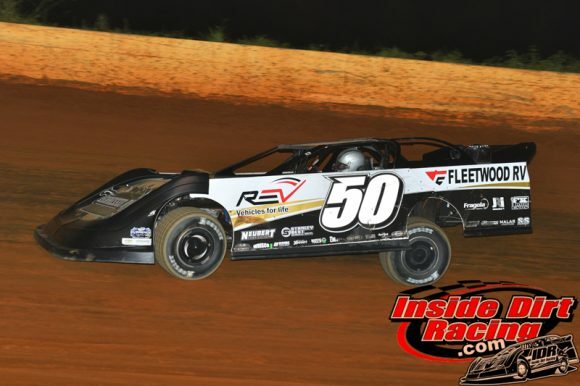 Much like Bobby Pierce with that team last season, he will be in a very new situation after having experienced success in what was a very family oriented setting. Although he did not race for a family-owned team as Pierce did, Moran has always been closely surrounded by family members. And while that will still be the case, he will be far removed from his family’s home base in Ohio just as Pierce was removed from his Illinois home. 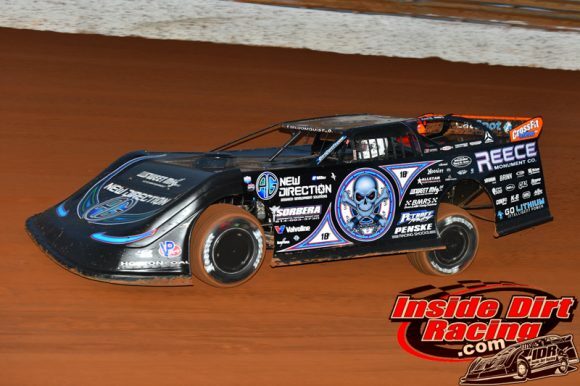 And as always, Bloomquist will almost certainly will find a way to put himself at the center of the Georgia-Florida SpeedWeeks conversation. That team has been struggling with mechanical issues since last season, seemingly related to fuel pickup. 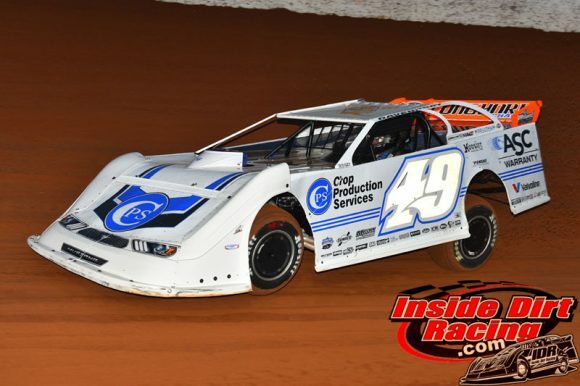 Those troubles were evident in last November’s Carolina Clash race at Cherokee Speedway in South Carolina and appeared to again show themselves in the Wild West Shootout just after the turn of the new year in Arizona. Further, the No. 0 has switched engine suppliers so it will be interesting to see if he comes out of the gate with everything righted. There is no shortage of story lines going into 2019, is there? Can Jonathan Davenport repeat as the Lucas Oil champ? Michael: No, and add to that Earl Pearson, Jr. coming off one of his best seasons in a number of years. How will he fair this season? We mentioned CBR switching to Rockets this year. How does Don O’Neal do in that situation? 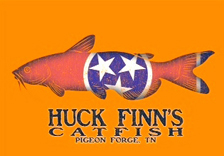 His son, Hudson O’Neal, had a good season going until shoulder surgery sidelined him in mid-August. It will be interesting to see how he bounces back. Richard: As always, there look to be some newcomers to the Lucas Oil Series in 2019. 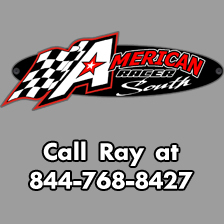 We’ve already mentioned Moran, who ran with the WoO Late Models last season. 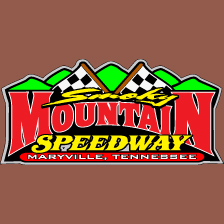 Also, it looks as if Shanon Buckingham, Austin Rettig, and possibly Billy Moyer, Jr. will join in with the national touring series, at least through the first several events until such time as they have to declare whether or not they officially want to seek Rookie of the Year honors. And as you mentioned earlier, Hudson O’Neal is expected to be back on a full-time basis after having to sit out the final third of the campaign in 2018. 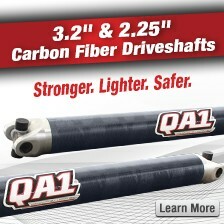 You and I have seen first hand that the resources are available in the Double Down Motorsports camp for Buckingham. Also, Moyer has good sponsorship in his corner which could allow him to make a strong run. 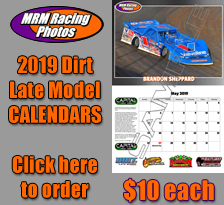 Of those newcomers to the LOLMDS, it would seem as though Moran might be the most likely to become a factor in terms of winning features or contending for titles although Moyer has shown that he too can grab race wins. Who among those who look to be new on the tour do you see as potential news makers? Michael: I have to go with Moran and Moyer, Jr. Both have had their share of big wins in either or both series. Both have the experience in their crews to be able to run up and down the road. The Dunn-Benson team has the resources to win and won their share last year with Pierce. I think these cars will be more suitable for Moran. But nothing against the drivers in WoO, the competition is more stout in Lucas. Moyer’s program gets just a bit better each year. Unlike the last time he ran with Lucas, I think he’s better prepared and better equipped this time around if he stays with it through the end. Richard: With everything we’ve said taken into consideration, it’s now time to make some bold predictions. To begin with, I am going to pick Josh Richards to win the Lucas Oil title in 2019. I just believe that team has the resources, and perhaps more importantly the motivation, to get it done in the coming season. However, I am going to pick Jonathan Davenport as the driver who will win the most races over the course of the year. But to show how deep the talent pool on this series is, I am going to predict that at least 12 different drivers between the series regulars and the drop-ins will win feature races in 2019. Michael: I’m also going to pick Richards to win the 2019 title. For most wins on the season, I’m going to pick Jimmy Owens. He had a number of races won last year only to be taken away by engine problems. If he doesn’t have those problems, I think he can win a bunch of races this season. How many races can Jimmy Owens win in 2019? How successful will Davenport and Rumley be now that they are apart?